MANILA, Philippines — Long weekend's up ahead! I don't usually visit a vacation spot twice in a span of one month but I'll make this an exception. Yup, I'm headed off to Baguio... again. This time, just with cousins. Because there were family members who didn't want to go in, we just took a group picture outside. Boo. PALAWAN, Philippines — For me, the best beach and snorkeling spots in Coron are in Malcapuya and Banana Island, respectively. It's a challenge getting there. The one-hour ride seems forever. And because boats travel on open seas, the the water (and even the weather) can get rough. Malcapuya and Banana Island are across each other. 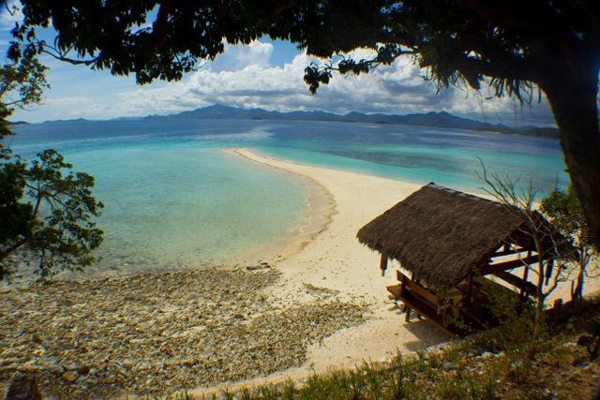 These are must-go-to destinations in Coron. 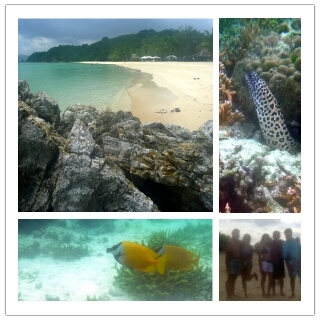 For me, Malcapuya is the best beach in Coron while Banana Island has the best snorkeling spot. Friends have been recommending this forever. It definitely didn't disappoint. The highlight of this island would be the stretch of white sand. It's perfect to just bum around. You can opt to snorkel but there isn't much to see. There's jellyfish, too! Better to save your energy for Banana Island. I was not informed of such nice view in Malcapuya! There were swarms of fish everywhere. Different colors, sizes, and species. I could've sworn that I saw a baby shark! There were even fish that I recognized from playing FishVille! It was that awesome. You can opt to go to the little island directly beside it called Malaroyroy. Unfortunately, my photos didn't do justice to the beauty that I saw. We were stranded on the island for around half an hour due to bad weather. Skies were extremely dark, the wind was howling, and the rain was strong. It was too dangerous to travel back to town. With my new friends that I "adopted" that day! On our way back to town, the weather was so nice. We watched the sunset from our boat. 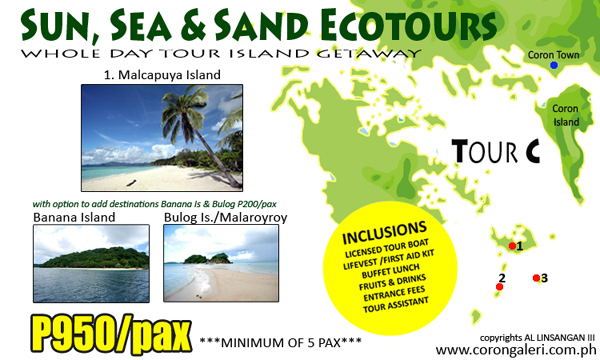 Php 950 / pax with Calamianes Expeditions & Ecotours (as of Sept. 18, 2012). 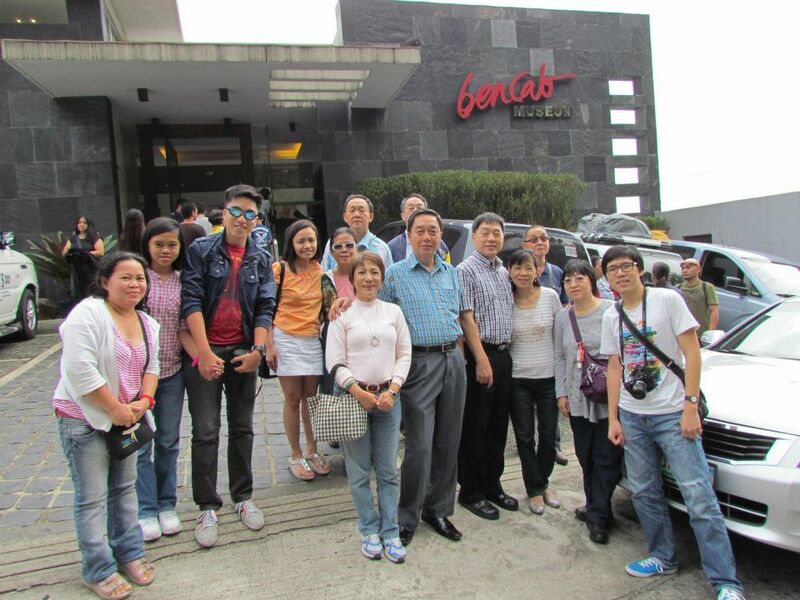 Inclusive of licensed tour boat, life vest, lunch, fruits, water, entrance fees, tour assistant. Minimum of 5 people to avail Php 950 cost otherwise, cost increases. I was the only one that day who wanted to tour Malcapuya and Banana Island with Expeditions. Since I was by myself, a solo tour would cost Php 3,000. This was way beyond my budget. To save on cost, I tried hitching with travelers who happened to be going there on their own. I offered to pay for my share of the boat and to bring my own food. Sadly, they didn't want me to join them. My wallet was dying but as the day went on, I realized that it wasn't so unfortunate that the group refused to let me hitch. Click here to find out why! MANILA, Philippines — To most Chinese-Filipinos in Manila, the Chinese cemetery is probably one of those must-go-to places just because departed relatives are there. Since we visit the Chinese cemetery every year for our All Souls' Day gathering, it's a place that I don't pay much attention to anymore. But even if it seems like I know the place, it turns out that I don't know much about it—kinda like an acquaintance. The South Gate is the main entrance to the Chinese Cemetery. 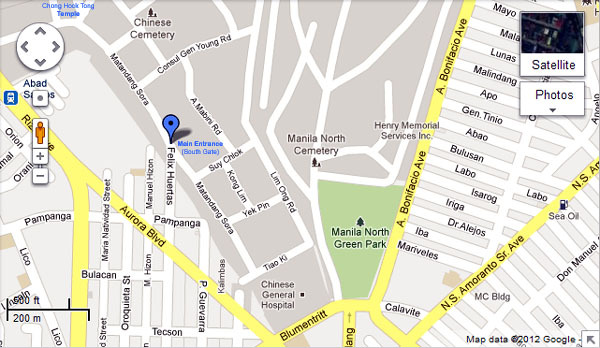 It's Manila's second largest cemetery after La Loma. Established from discrimination. It's not because the Chinese wanted to be exclusive. They were denied burial in Catholic cemeteries during the Spanish colonial period. Manila's oldest Chinese temple is here. It's mentioned in Rizal's Noli Mi Tángere. Fr. Damaso instructed that Don Rafael's corpse be moved to the Chinese cemetery since heretics didn't deserve to be in a Catholic cemetery. Notable people buried here: Ma Mon Luk (Chinese-Filipino chef), Vicente Lim (former general during WWII), Apolinario Mabini (Philippines' first prime minister) before his remains were transferred to Batangas, among others. The main road. Long stretch of tombs on the left and mausoleums on the right. Crematorium. I have sad memories here. Oldest Chinese temple in Manila. The Chong Hok temple was built in 1878. The cemetery is generally clean and quiet. The place boasts of interesting mausoleums with varied architecture. Too bad I don't know where all of these are. It's also unimaginable that around 50 years ago, this was home to a thousand informal settlers. My paternal family's mausoleum is along a really narrow walkway. We usually light candles and incense sticks as tradition. Take a peek inside! There's a big seating area! For some reason, this is my favorite because it has beautiful tiles. Probably hand-painted. Probably the oldest mausoleum in the Chinese cemetery. Probably the most modern mausoleum in the Chinese cemetery. Did you know that tours are offered here? I came across Jun Salvador near the crematory who offered to give me a one-hour walking tour for Php 600. For a group of ten, it's Php 200/pax. Personally, you may want to tour with Ivan Man Dy instead. Where the Chinese cemetery is. Like acquaintances, there's still so much to learn and discover. Next year, perhaps I'll try exploring the other side of the cemetery.